Group quality and security certifications. At the ParkNow Group, we take your privacy and data security very seriously. We protect and secure your financial and personal data and are certified and accredited by third party privacy organisations. 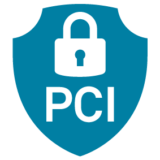 Parkmobile, Park-line, RingGo and ParkNow are Payment Card Industry Data Security Standard (PCI-DSS) certified brands. PCI-DSS is an information security standard that has been created by the major credit card companies (American Express, Discover, JCB, MasterCard and Visa) to improve controls around credit card data handling and to reduce fraud. In order to be certified, our brands (under legal identities Parkmobile Group BV and Cobalt Telephone Technologies) undergo regular assessments by external parties: Penetration testing, vulnerability assessment and audit by an external Qualified Security Assessor (QSA). Visa and MasterCard review the results of those assessments and maintain the list of the compliant organisations. The key to the ongoing certification under this standard is establishing, maintaining and improving the organisational structure, responsibilities, procedures, processes, and resources in a manner where the ParkNow Group’s products and services consistently satisfy ISO 9001 quality requirements. Information security means the ‘protection of confidentiality, integrity and availability of information’. An Information Security Management System is a systematic approach to managing sensitive company information so that it remains secure. It includes people, processes and IT systems by applying a risk management process. Implements an information security risk management approach which is efficient and effective to eliminate or reduce risks affecting processes within the scope and allocate necessary resources to mitigate information security risks to an acceptable level. Conducts education and training activities regularly in order to make employees, contractors and business partners aware of their roles and responsibilities regarding Information Security. Provides business continuity for critical processes by developing and maintaining business continuity plans and systems. Takes appropriate actions to manage and prevent information security policy violations. Complies with and continuously seek to improve on all applicable information security related laws, market regulations, contractual obligations, industry standards and other related internal and external requirements. Continually improves Information Security Management System by setting security control objectives and performing regular audits and reviews. Ensures that all employees comply with Information Security Management System policies, procedures and controls.